However it has some features that still make it a popular casino around European players, besides being restricted in many European countries. 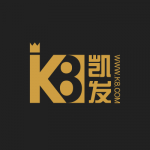 K8 Casino began in 2017 with a strong Asian influence. It is secured by the UK Gambling Commission (UKGC) and by First Cagayan, the first online gaming juristiction in Asia. It offers a broad variety of games to play and slots to spin, as well as well-known promo codes as you sign in. Casinos are becoming more and more popular in UK, and K8 Casino seems to be sticking to the Asian market as players will only be able to load a platform that is available in just two different languages. The page is in either Chinese or Vietnamese (English won’t take long to arrive), and translation could be messy sometimes with the browser translator. Besides the language barrier, the webpage is simple and user friendly and gamers can play all the games and slots in almost any mobile device. 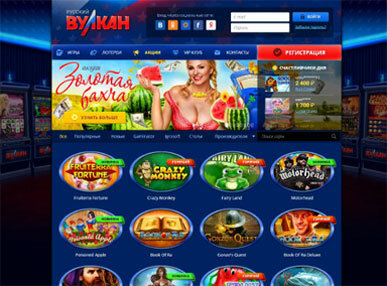 Searching into the game selection at K8 Casino gives the player several sub tabs to locate over 600 games and slots. It has eight rooms to access the casino live section, each one offering games for every taste there is. Besides the huge selection of live games, there´s a big range of slots for players to enjoy. With a large number of software developers populating the site, there´s a huge chance you´ll find your favorite titles. Classic casino games such as blackjack, jackpot and roulette are not left behind. The home page has a straightforward and simple design, to sign up, log in, or choose your favorite games. The user friendly interface allows the players to favorite their preferred games allowing them to easily load the ones they wish to play again, making player´s experience easy and time efficient. To improve even more your gaming experience, K8 Casino offers many bonuses and free chips for players. The first deposit that new players make will be topped up with a 30% bonus, no limits. This might not be seen as much, however promotions and bonuses abound in K8 Casino. They have so many active deals that there is a tab exclusively for promo codes at the top of the screen. 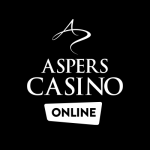 When players click this, it’ll display a number of offers in different categories divided into sections including sports promotions, new player´s offers, free chips, and live casino deals. All of this available through your mobile phone. Want even more? 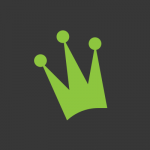 The K8 Casino offers a Loyalty Rewards program, in which points can be changed into real money or equivalent gaming currency. All credit payment methods are available at K8 Casino. The site allows players to deposit and withdraw via most major debit and credit cards, bank transfer and Neteller. The minimum deposit is £10 and all deposits are instant. It also offers money withdrawals as quickly as the website can process, which can become a bit slower when the webpage capacity is full. K8 Casino has mixed reviews from players, probably because of its limited time and its Asian focus in the market. However it has been growing through time due to its user- friendly data base, awesome variety of games and slots, abundance of promo codes, as well as a great customer service. With a whole host of advantages offered to the players, it is easy to see why it so popular to members despite its flaws in language and time in the market.